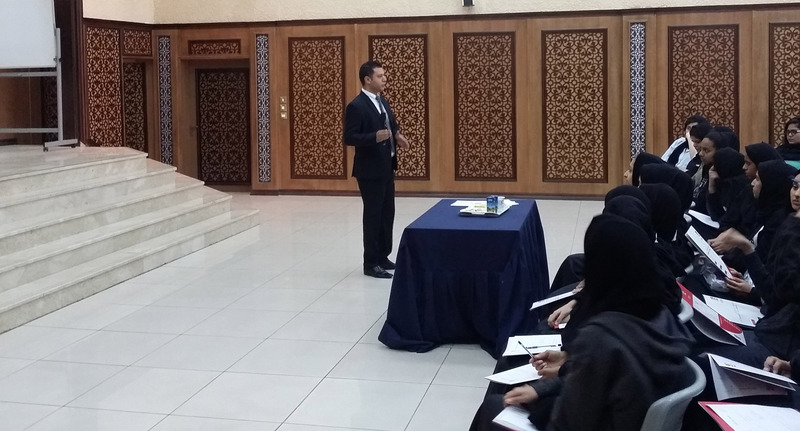 The Students Recruitment Unit of Al Falah University visited Maria Coptic Secondary School Dubai, on Monday and presented the programs offered by the University. Our representative offered detailed overview of the Colleges and facilities available at Al Falah and provided valuable counseling to the students in selection for Higher Education. The Head of Student Recruitment Mr. Nabil Abu Ela answered all questions and inquiries concerning the academic programs offered during the coming quarters. The detailed broachers and information of the University were distributed among the students and staff of the school so that they can easily approach our representatives to learn more on students' rights and internal policies adopted by the university. Our Student Recruitment Unit continues its endeavors to attract students where their second visit was on Tuesday to Saleh Rashid Secondary School.